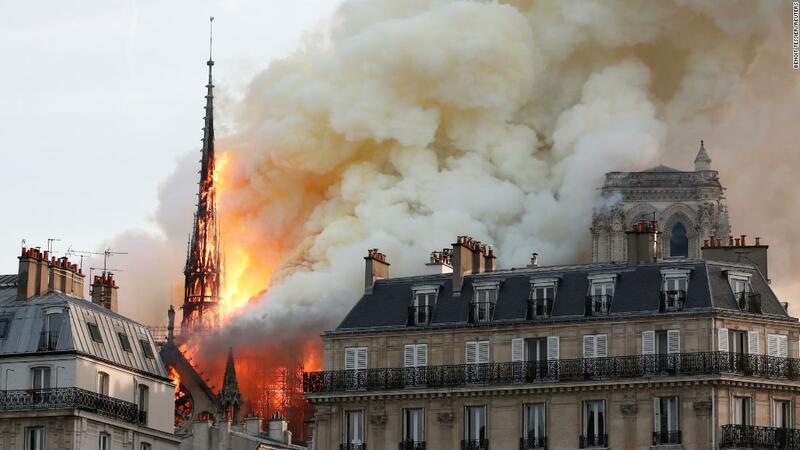 The next hour and a half is important in efforts to save the rest of the cathedral of Notre Dame, said Jean-Claude Gallet, commander general of the Paris Fire Brigade . "The danger of crashing the big bell, if the bell collapsed, it was the tower that fell, there were firefighters inside and outside. The next hour and a half was important," he told reporters in the scene. "We need to win this battle and block the spread of fires. The best action comes from within. We're not sure if we can stop the spread of fires in the North tower," he said. He told the first call to emergency services informing the cathedral's attic fire authorities, though 'The cause of the fire was unknown. "We removed the beloved artwork that was deliberate," Gallet says.